The most complete Feedback module that allows you to engage your visitors and captures their Feedback along with contact details. Turn your store into a lead generation powerhouse, build stronger customer relationships and increase conversions. 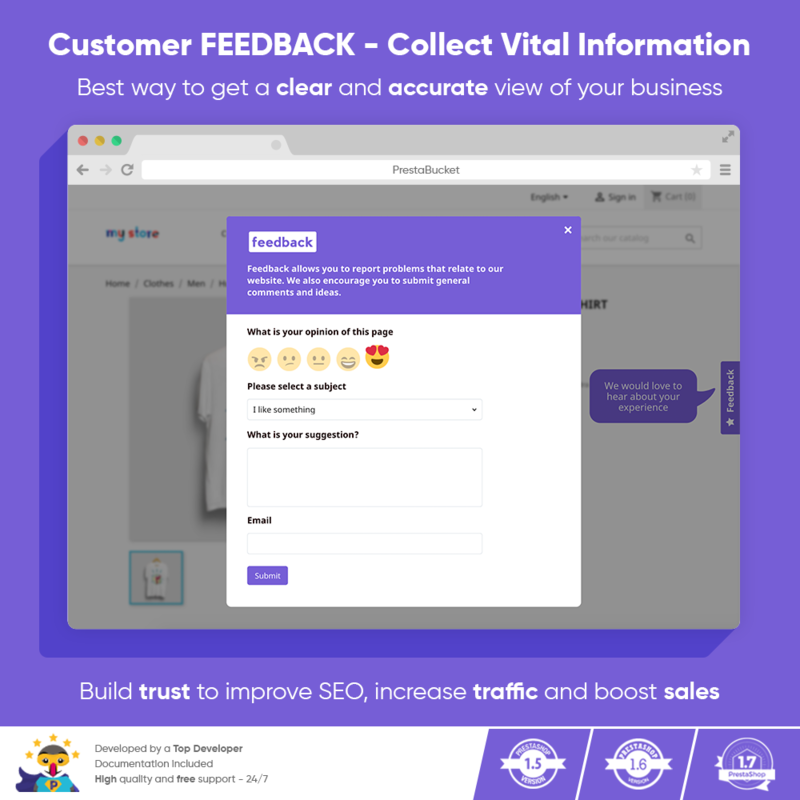 Receiving customer feedback enables a company to correct any issues or concerns customers may have with the company’s products and its services. 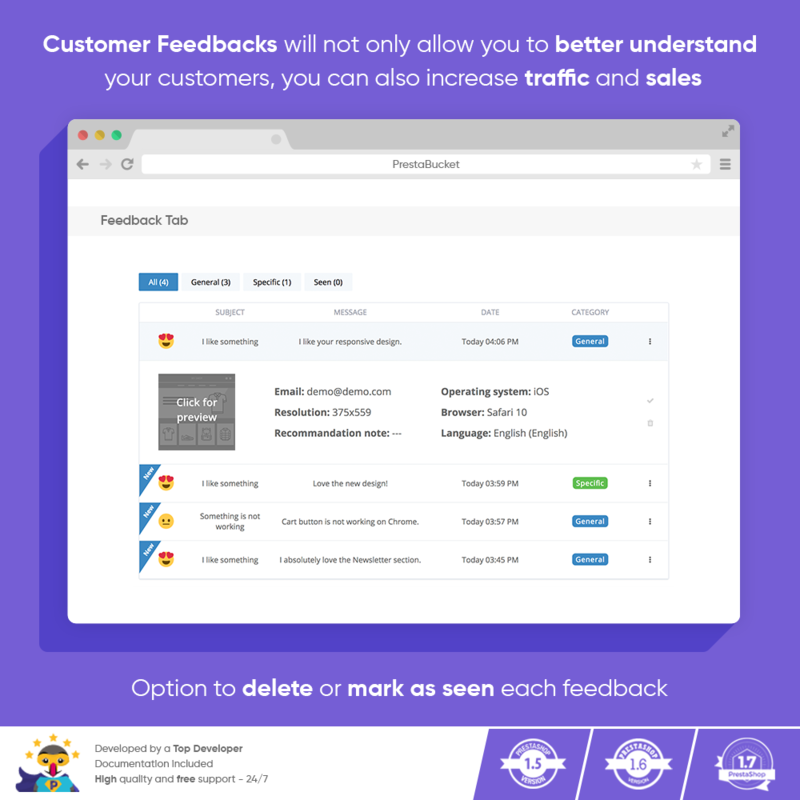 When customers provide feedback, a company is able to save money, time and improve relationships with customers. 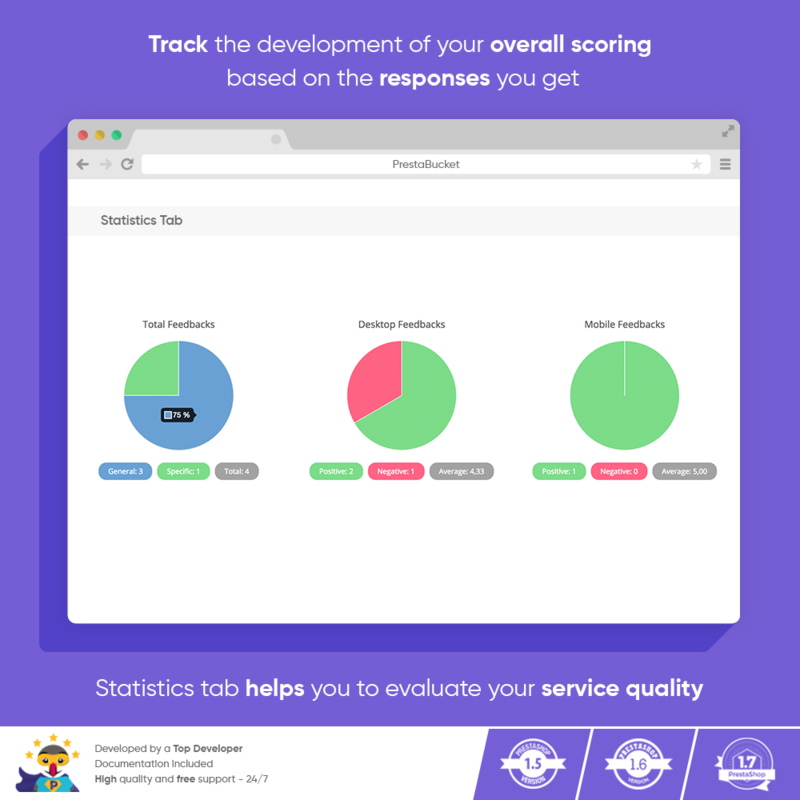 Get valuable comments from your customers and useful statistics directly into your Dashboard. Some customers don’t buy because they are not sure of something, if you let them ask you their questions, you can heavily increase your conversion rate. Our module is simple to install, easy to update, intuitive, efficient, pleasant – easy to navigate GUI and easy to remove. With a mobile focus, you can rest assured that every pixel will respond as it should no matter if your visitors are on desktop, tablet or phone. Some customers will not tell you they are unhappy with your product or service; they will just stop doing business with you. A situation such as this can be avoided when feedback is requested. 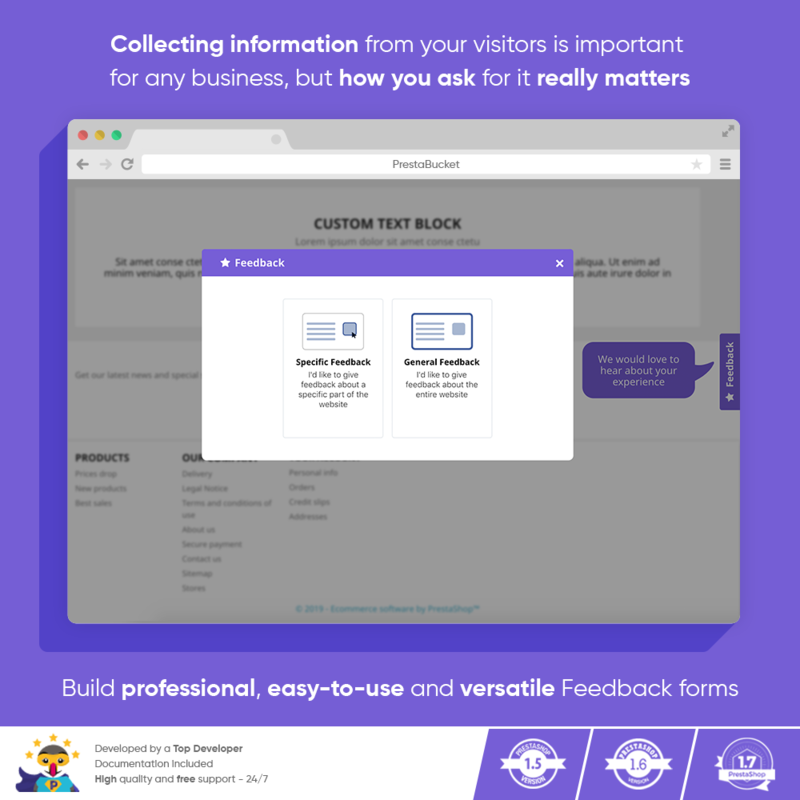 With a fully customisable design, Customer Feedback will fit the design of your site. The installation is according to PrestaShop default behavior. This easy process is also detailed in our documentation. 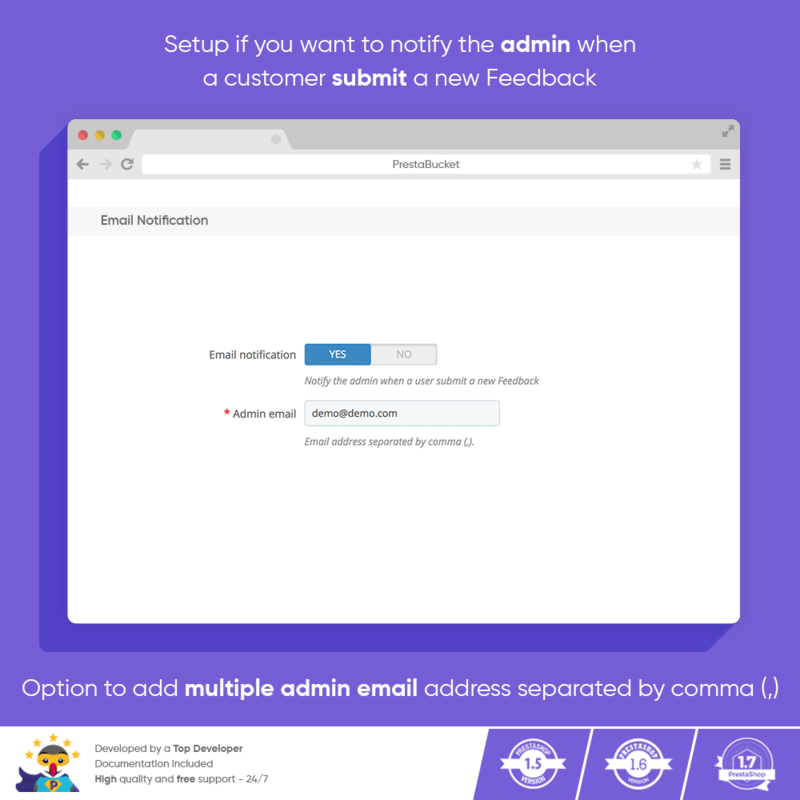 By letting your customers give you suggestions, you can get new product ideas, receive precious feedback and improve your store. Entrepreneurs sometimes struggle to understand why their customers don’t convert. A simple and effective way to solve this problem is to listen to them and allow them to tell you why they do not buy. It is sometimes because of little details, missing product dimensions, no free shipping, etc. 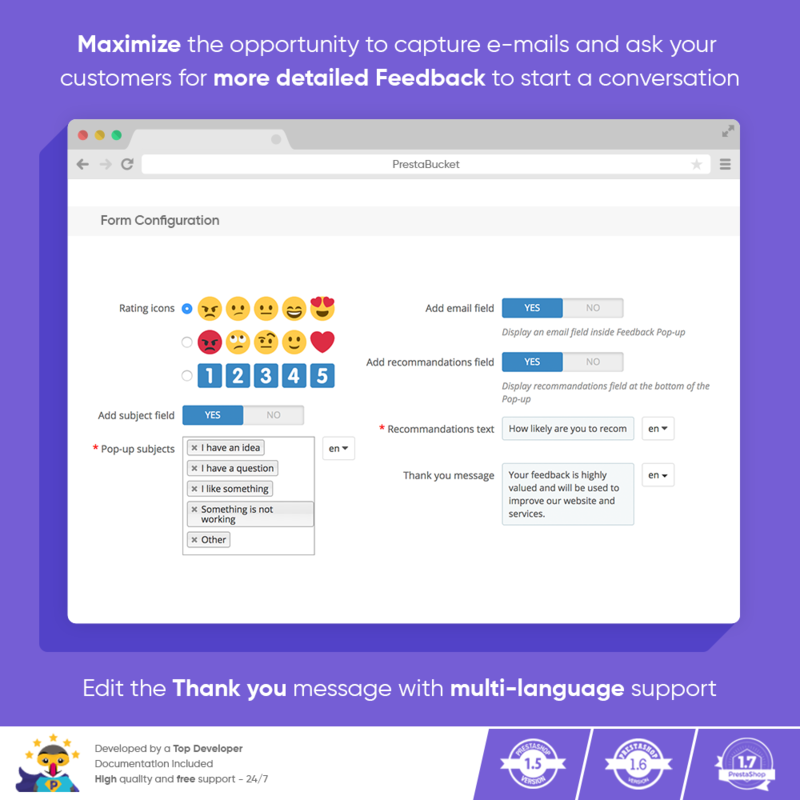 With Customer Feedback module, you can overcome these issues. Have any ideas how we can improve this module? Just contact us, and we will implement new features in the upcoming releases. 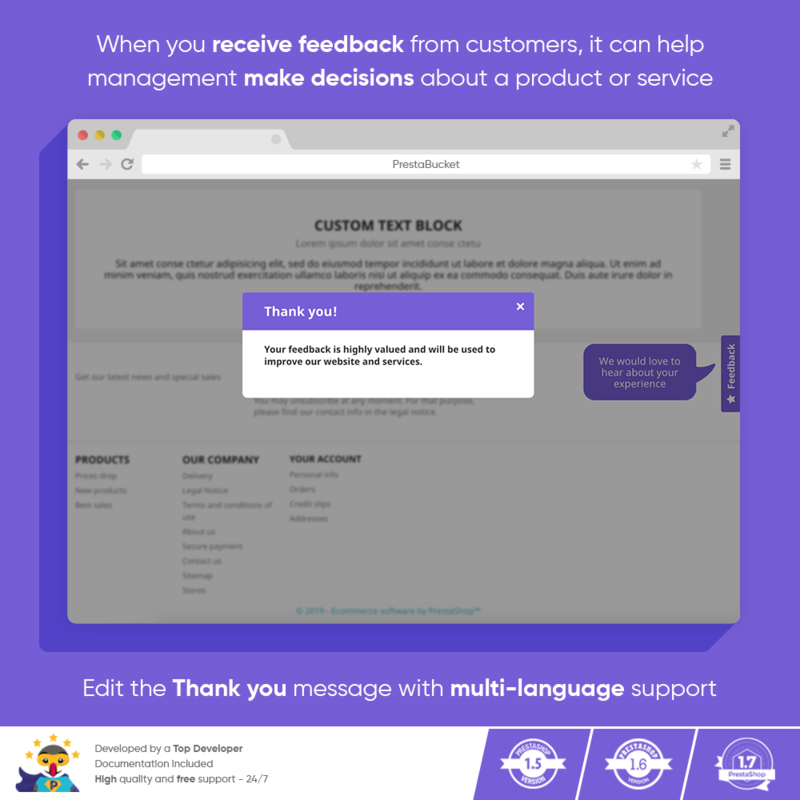 When customers see a feedback button, they know that there are actual humans behind the online store and that they can always reach to you if they encounter problems. 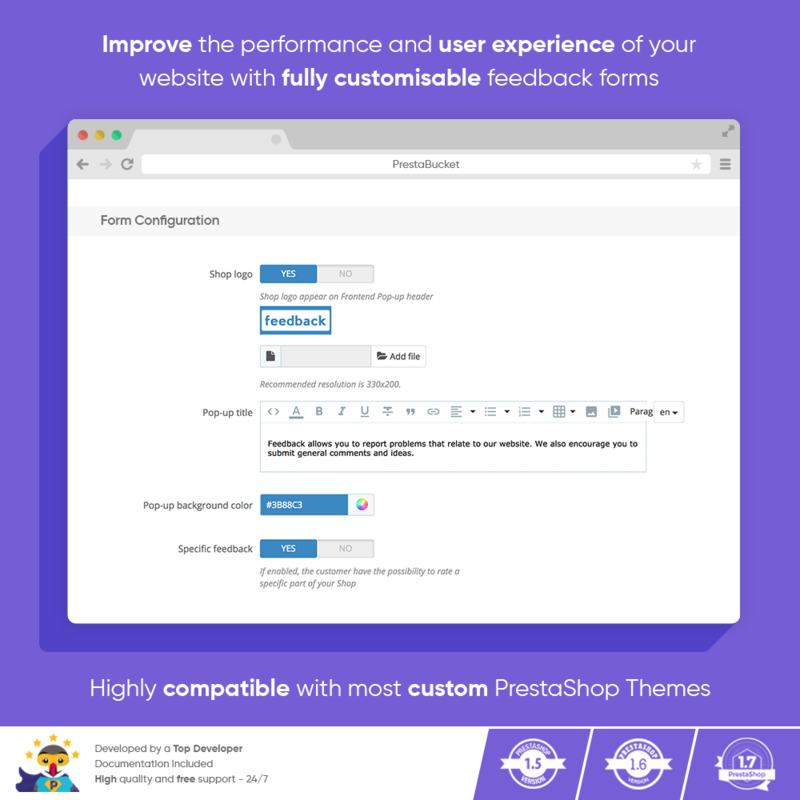 The installation is according to PrestaShop default behavior. Very easy to install and setup. Also we provide free support to install and configure.